There are times when the closeness of God compels me to give praise. This joyous epiphany is not due to anything I have done, nor can I command it. Sometimes it follows a harrowing intervention of God, but not always. Sometimes it occurs upon witnessing a miracle, but not always. Sometimes it is just God comes near and I am overcome with worship. And then even the rocks cry out, rejoicing along with me. What a wonderful and full moment — to be overwhelmed by His presence. A fleeting taste of the riches that await those who love, and seek Him. But all to soon, this moment passes and I am back to living by faith. Gleaming stones to remind me of what is to come. 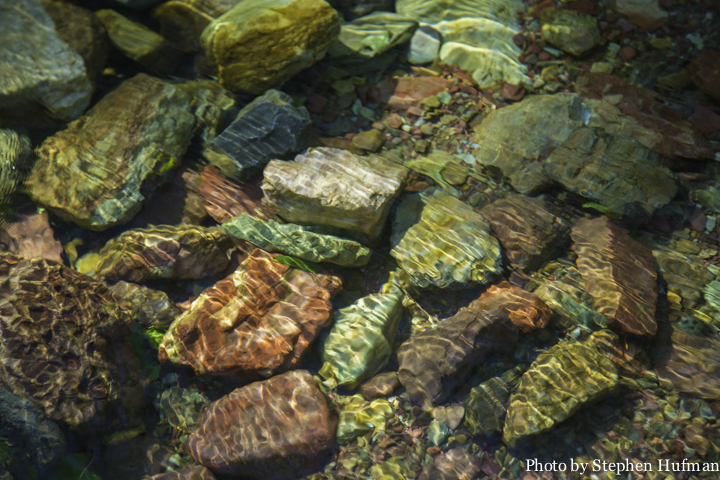 This entry was posted in Photography and tagged epiphany, nature photography, stones, water by Stephen Hufman. Bookmark the permalink.